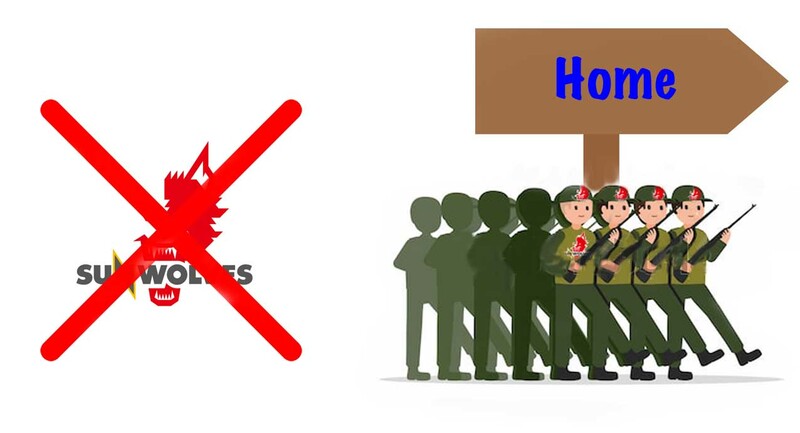 Home Big Opinions Good Bye the Foreign Legion? 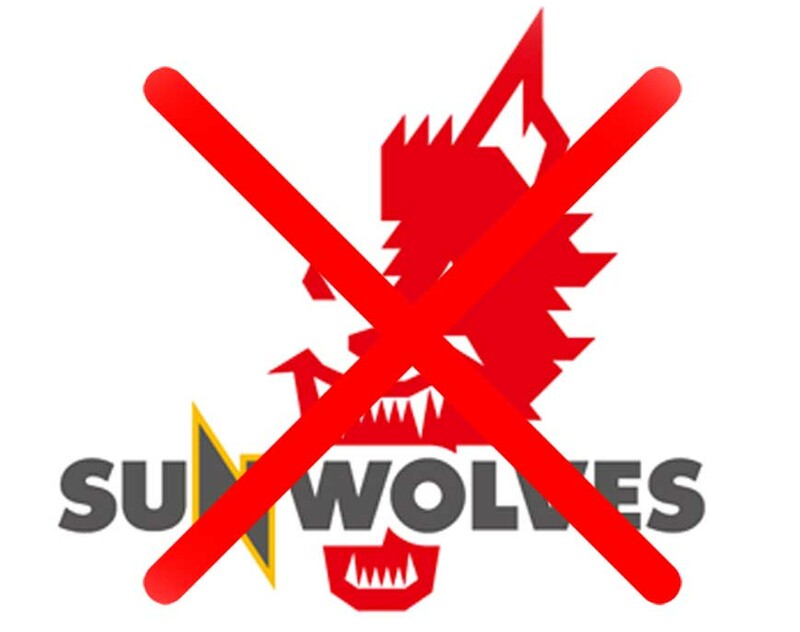 Those that have read my scribblings over the last three years will know that I have been and am totally opposed to the inclusion of the Sunwolves in the Super Rugby competition. The initial premise, that the Sunwolves would provide some kind of wedge that opened the door to the potentially lucrative Asian market for the game of rugby was flawed from the get-go. The Japanese rugby “market” was well established, with a solid financial base from established corporate sponsors and a constant flow of recruits from countries such as New Zealand, South Africa, and Australia providing local players with mentors who have hard-earned experience and polished skills to absorb. There was simply no logical reason for the creation of the Sunwolves. It was quickly evident that the Super franchise was not welcomed by Japan’s existing rugby structures. The top sides simply refused to release their contracted players to the Sunwolves. The major corporates, the long-time sponsors of rugby in Japan, also refused to become financially involved in the Sunwolves enterprise. The Sunwolves were nothing more than a team of foreign legionaries pretending to be Japanese. Just a quick glance at the teams that they fielded in the first five rounds of Super Rugby 2019 provides evidence of the foreign flavour of the team. In the first round the Sunwolves starting team fielded 12 non-Japanese in the run-on 15. Round Two saw a repeat of that number, 12 non-Japanese in the starting XV. Just to emphasize the lack of Japanese players, five the starting players in Round Two had not started in the first fixture! Round Three saw 11 non- Japanese starting, Round 4 saw a repeat of the number, 11. Round Five, last weekend, saw all of 13 of the starting team being foreign imports. Even the replacement bench saw 5 non-Japanese versus just 3 Japanese players. You do not have to be a rocket scientist to see that the Sunwolves are not a Japanese outfit in anything but name. This is certainly not a vehicle for Japanese players to gain experience and learn by playing rugby at a higher level. As for the foot-in-the-door of the potentially lucrative Asian markets and the hoped for financial benefits accruing to Sanzaar from entering the Asian markets? Well, that has been an abysmal failure too. The other participating nations, the four that make up Sanzaar, bankrolled the Sunwolves from the get-go. Their thinking was that in two or three seasons the Sunwolves would be so successful that the Japanese corporates would flood in to back the franchise and make them independently sustainable. That has not happened and is never likely to happen. Corporate sponsors back winners, and only winners. The Sunwolves’ record on the pitch has been abysmal, even taking into account their first away win when they beat the Chiefs 30-15 earlier this month. There were simply not enough swallows to herald a Japanese summer, and the sponsors stayed away. Finally we have the news that Sanzaar are about to pull the plug of the whole Sunwolves exercise. Reports coming from the Sunwolves camp are saying that the players and coaching staff attended a meeting with some of Sanzaar’s bigwigs on Tuesday, and were told that they would be dropped from Super Rugby at the end of this season. We are told that Sanzaar will be making a formal announcement in this regard on Friday. Sydney’s Daily Telegraph reports that the 15-team, hemisphere-jumping Super Rugby tournament will revert to 14 sides and a round-robin format in 2020, signalling the end of the misbegotten and hugely unpopular conference system. The departure of the Foreign Legion masquerading as a Japanese rugby team will be welcomed by every rugby lover. Super Rugby, as a concept, and a brand, has suffered enormous damage as a result of the administrators megalomania and their expressed intent to take the competition global. The game itself suffered, and the fans abandoned the tournament in their droves. One hopes that the reversion to a Super 14 format will inject some much needed energy and quality into a tournament that became as bloated as a vegan who has eaten too much cabbage. All gas, but no go.